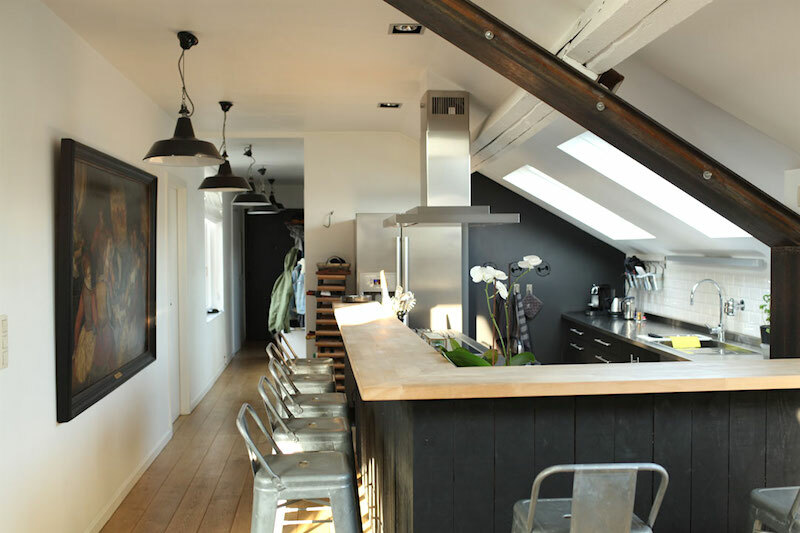 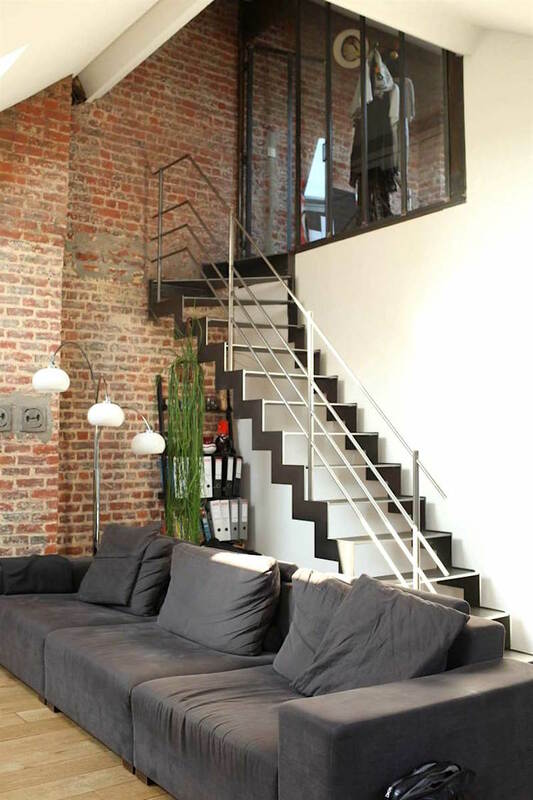 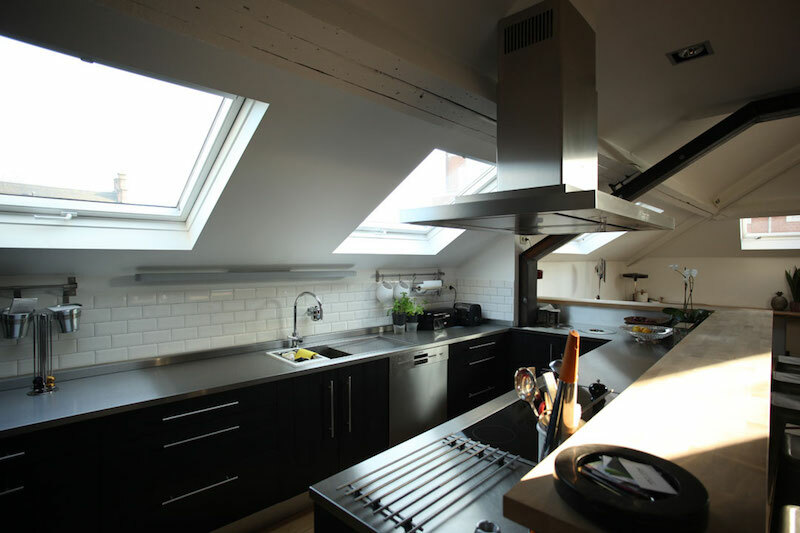 This old atelier in Belgium has been refurbished into an elegant and charming apartment with an industrial twist. 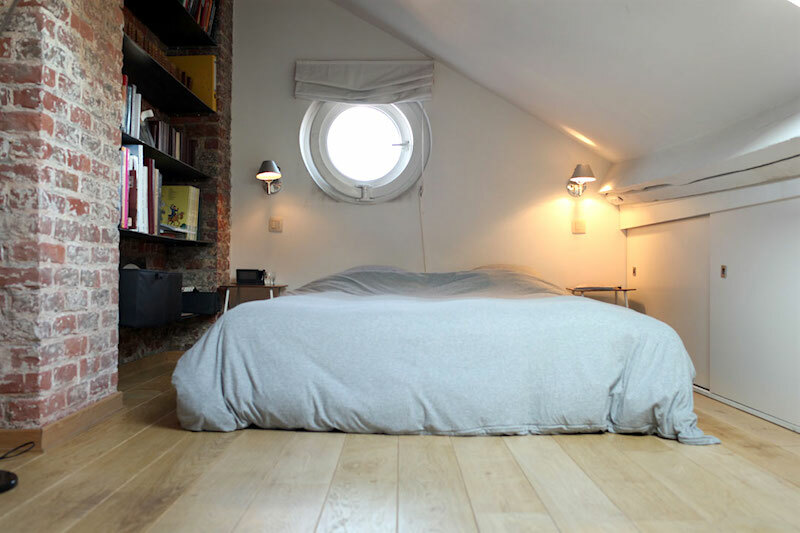 The 117 sqm. 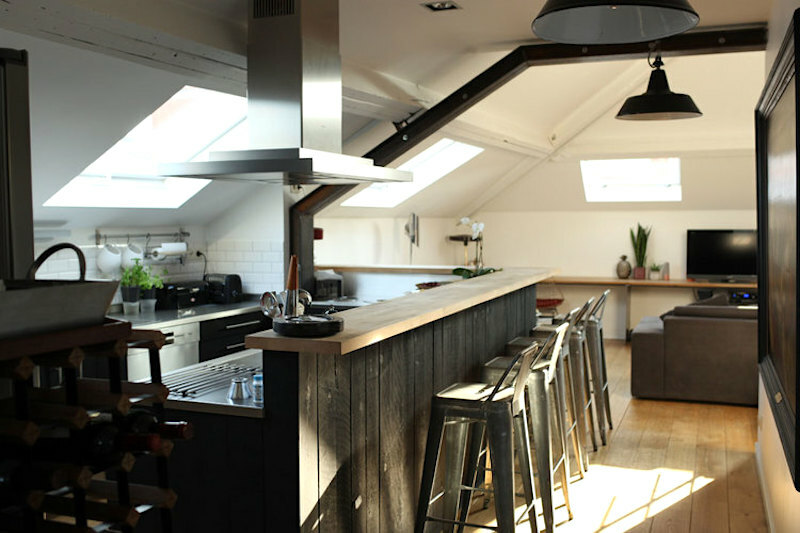 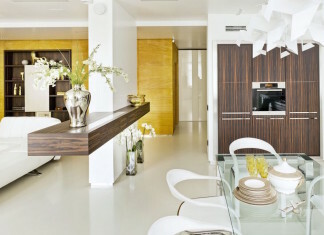 of the apartment offer two bedrooms and a stylish American style kitchen with a bar desk. 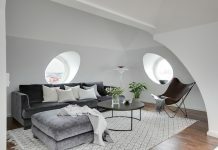 One of the bedrooms is located on the first floor and the other one on the loft like mezzanine space. 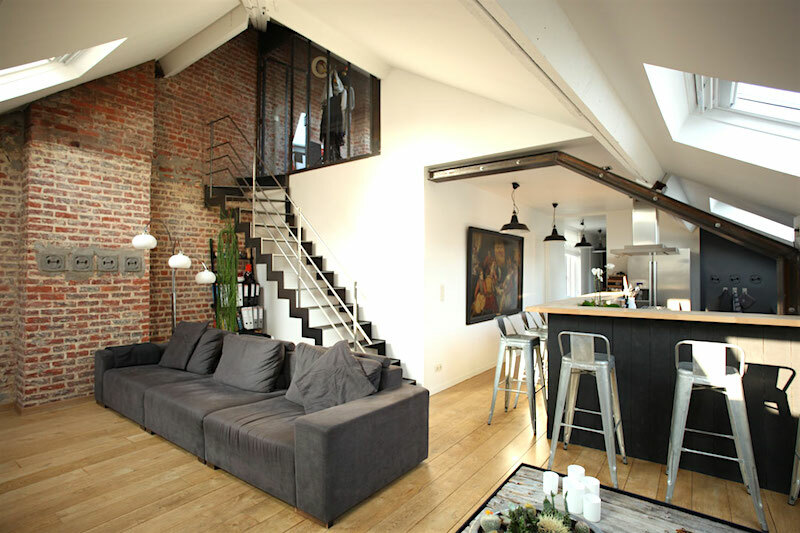 Wooden beams, characteristic shapes and the overall industrial twist through brick walls and metal structures give this apartment an authentic and personal look. 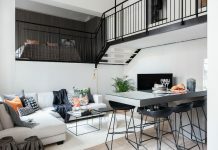 Located in the center of Brussels’ trendiest neighbourhoods, this beautiful apartment by Aestate offers a versatile home for anyone loving rustic and industrial home decor.